Intel Reportedly Denies Talks Of Cross Licensing AMD Graphics Technology - What's Going On? A report by Barrons has just refuted the rumor from Fudzilla that Intel is entering into a cross-licensing agreement with AMD to license its GPU technology. This report is the latest in a series of on-again, off-again rumors that have been traveling down the grapevine for well over a year now. So just what exactly is going on here? Well, while the only entities that can give you the answer with absolute certainty are either AMD or Intel (both of which will decline to comment) one thing is for sure: nothing is confirmed so far. Let’s start with the basics. Intel licensed graphics technology from NVIDIA back in January 10th, 2011. The point of the deal was to stop ongoing litigation by NVIDIA and settle into a cross licensing agreement that will stop such litigation from either side for which NVIDIA demanded a payment of $1.5 Billion. The contract will apparently expire on the 31st of March 2017. This deal is the source of approximately 66 Million Dollars per quarter for NVIDIA Corporation or approximately $264 Million per fiscal year since it gets a piece of the pie for every iGPU Intel ships. Needless to say, a renewal has been the source of much speculation since it could swing a significant chunk of revenue to AMD. 2.1 Intel’s Release of NVIDIA. As of the Effective Date, and by operation of this Agreement, Intel, on behalf of itself and its Subsidiaries, hereby fully, finally and forever releases, quitclaims, relinquishes and discharges all Claims that Intel or any of its Subsidiaries ever had, now has, or in the future may have against NVIDIA or any of its Subsidiaries, its past and present directors and officers and its predecessors, successors and assigns, whether known or unknown, on account of any action, inaction, matter, thing or event, that occurred or failed to occur at any time through to and including the Effective Date. 2.2 NVIDIA’s Release of Intel. As of the Effective Date, and by operation of this Agreement, NVIDIA, on behalf of itself and its Subsidiaries, hereby fully, finally and forever releases, quitclaims, relinquishes and discharges all Claims that NVIDIA or any of its Subsidiaries ever had, now has, or in the future may have against Intel or any of its Subsidiaries, its past and present directors and officers and its predecessors, successors and assigns, whether known or unknown, on account of any action, inaction, matter, thing or event, that occurred or failed to occur at any time through to and including the Effective Date. Additionally, nothing in this Agreement is intended to or shall be construed to amend Intel’s November 2, 2010 settlement with the Federal Trade Commission (or any subsequent modifications thereof). This means, that the agreement could exist well after 31st March 2017, (and this is very likely) even after the payment of $1.5 Billion from Intel to NVIDIA has concluded.This is something that would also explain why we are still seeing new processors from Intel being made that will be rolled out in H2 2017, after the ambit of the cross licensing agreement, with no new deal in place. A complete suspension of litigation was what the deal was designed for and unless NVIDIA somehow manages to renew litigation, it isn’t even a surety that Intel needs a new cross licensing agreement in the first place. This is something further supported by the fact that NVIDIA itself isn’t expecting this deal to be renewed after the royalty ‘cliff’ in 2017. In fact if it ends up being renewed, this will be something that will exceed analyst expectations. That said, there is still a non-zero probability that we are incorrectly interpreting the agreement and Intel will require a new litigation shield (since that’s what the cross licensing agreement essentially is) from either of the two big players in GPU tech once the Capture Period expires on 31st March 2017. In fact, this is what most of the analysts out there have been thinking along the lines of since a year or so (including Barrons!). AMD is perfectly poised to benefit greatly from an agreement like this. Not only could ~50 Million dollars make the difference between being in profit (at Net Income) but it could help solidify its RTG momentum that has been such a resounding success so far. As always, there are several caveats associated with this idea, one of the primary ones being that NVIDIA holds the IP of some key GPU technologies that are employed in modern GPUs. 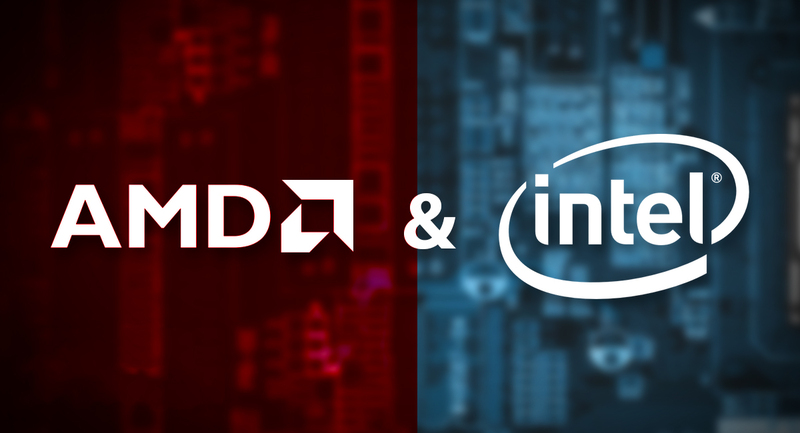 Shifting over to AMD might actually require Intel to have a cross licensing agreement with both companies. Then again, green was not able to enforce its patents in the NVIDIIA v Samsung case, which is a very big precedent in the industrial world – so it could easily end up happening with or without the company’s consent. Simply put, the moral of the story is that cross licensing agreements are big and complicated things, and at this point in time, a cross licensing agreement looks unlikely or pretty likely, depending on how you look at it (and yes that is exactly how I meant to say it) and until we get an official press release directly from Intel, everything has to be treated as a rumor and nothing more.